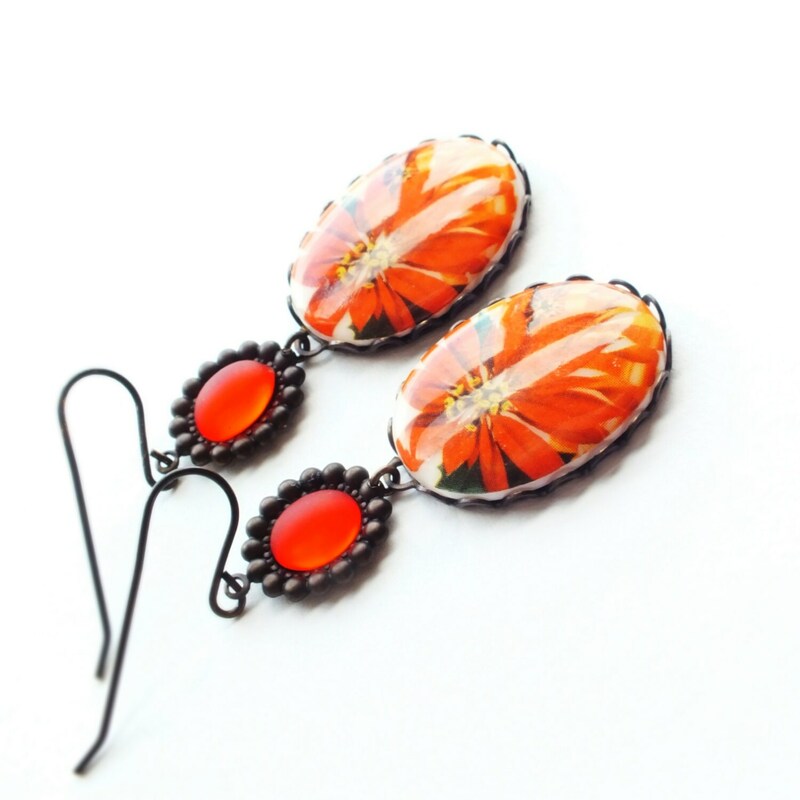 Handmade Christmas earrings with vintage retro poinsettia cabochons. 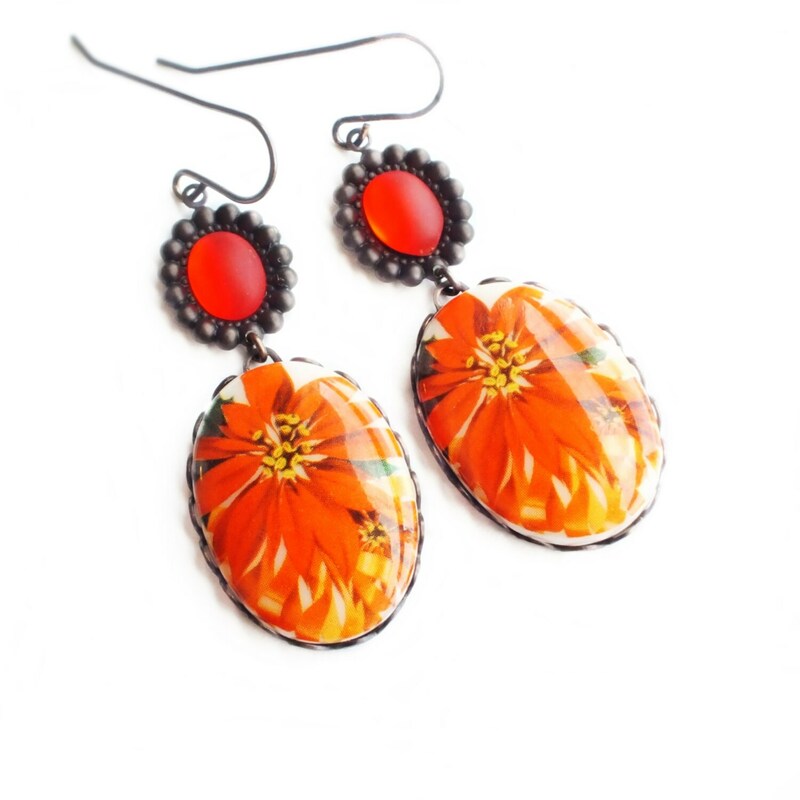 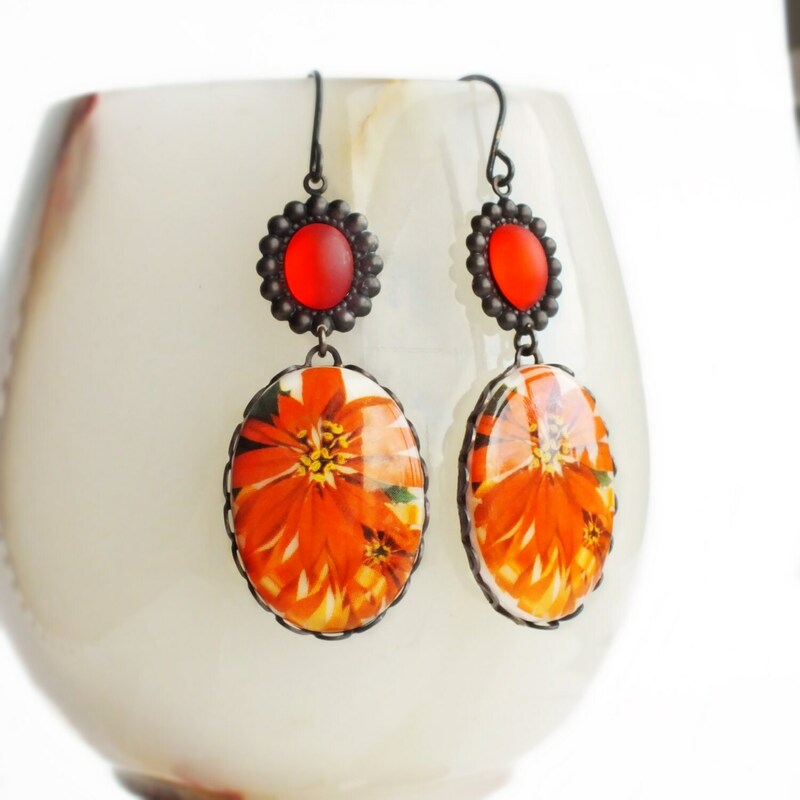 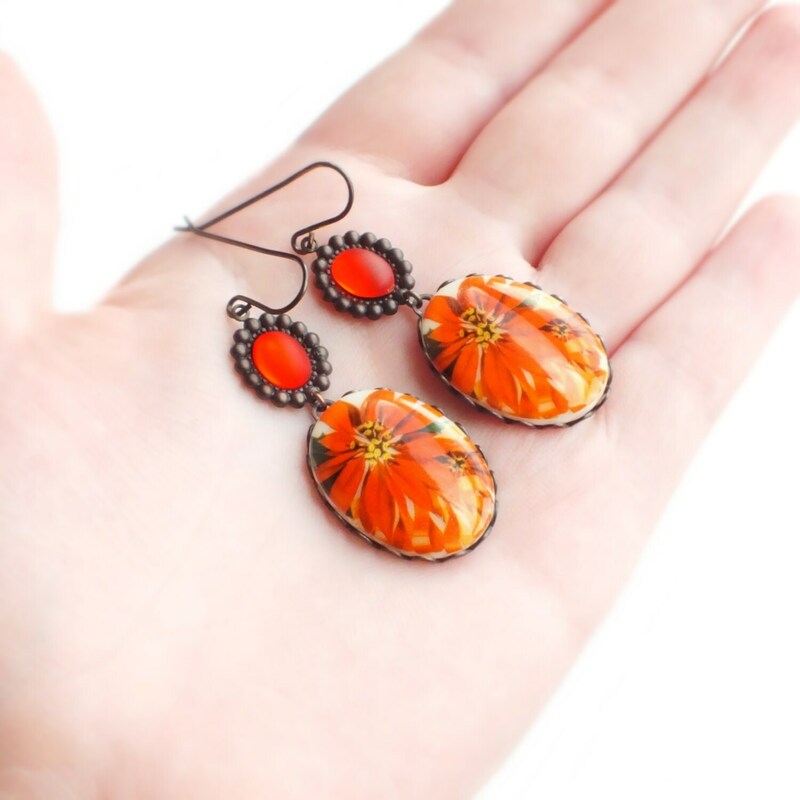 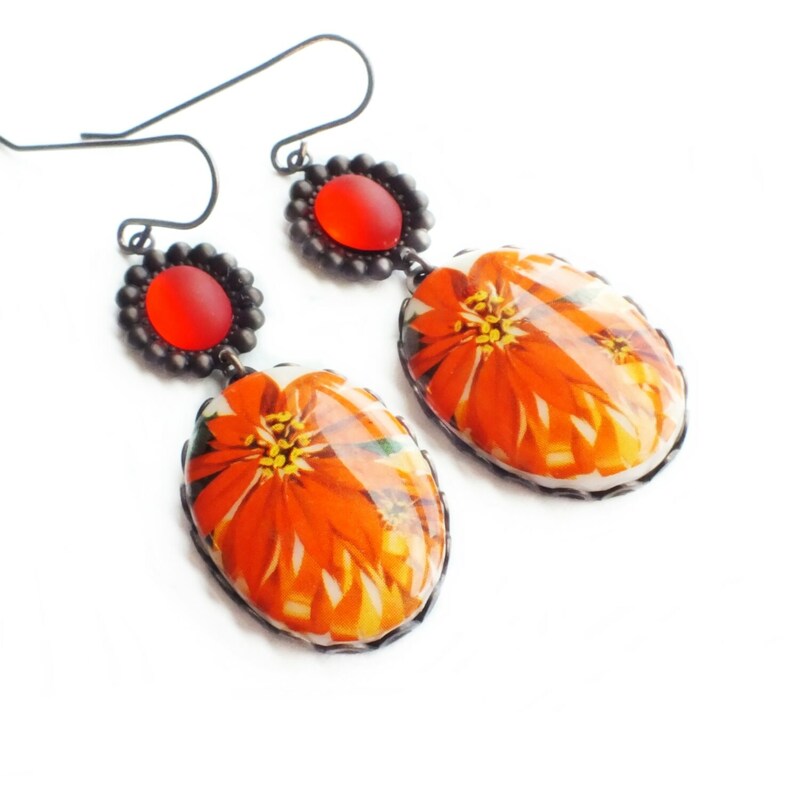 Made with large genuine vintage red orange poinsettia blossom cabochons adorned with bright red frosted glass stones. 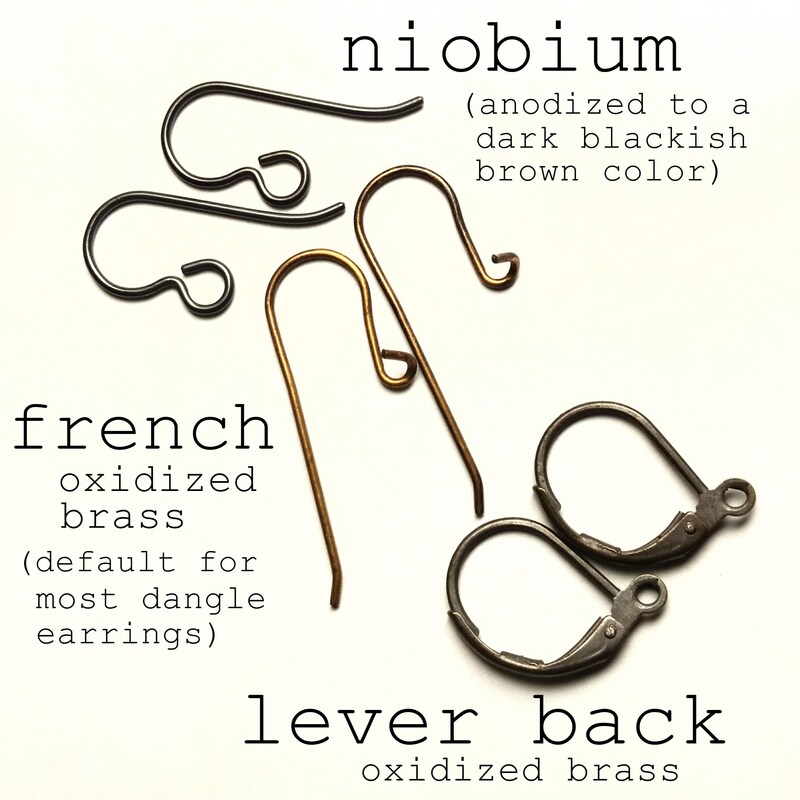 The Victorian style settings have been antiqued to a dark matte patina.